Sixth-Finger / Sixth-Toe Capacitive Stylus #3DThursday #3DPrinting « Adafruit Industries – Makers, hackers, artists, designers and engineers! This design was inspired by a request posted to the ATMakers.org page on Facebook for a way to make a capacitive stylus that could be used by people with limited finger control. 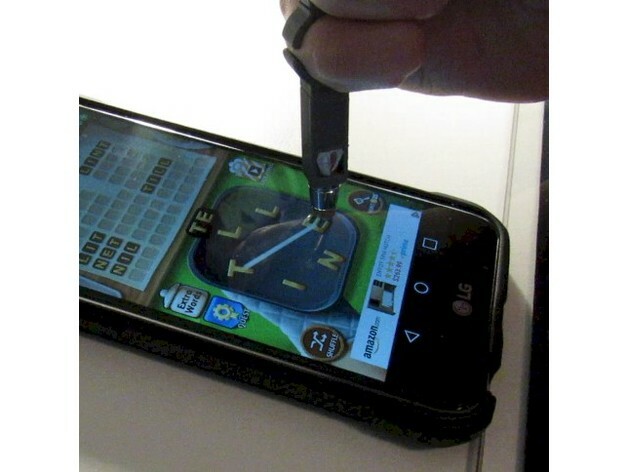 When I asked the poster to describe the device further I was pointed to a commercial device available on Amazon called the Sixth Digit by Handizap Capacitive Touchscreen Finger Stylus Ring (https://www.amazon.com/Handizap-Capacitive-Touchscreen-Finger-Stylus/dp/B016X2GMZK).